Dave Anthony, CFP®, RMA®, has been involved in the financial services field since 1998 and is the President and Portfolio Manager of Anthony Capital, LLC, a Registered Investment Advisor firm. Dave started Anthony Capital, LLC to provide unique and integrated wealth management solutions for his clients. Through the years, David has helped thousands of individuals with their financial and retirement plans. Prior to forming Anthony Capital, LLC, David worked at several of Wall Street’s largest firms. As a fiduciary, Dave enjoys teaching and educating his clients about diverse and complex retirement planning principles and enjoys designing comprehensive retirement income plans that help his clients optimize all areas of their financial lives, including investments, insurance, health care, Social Security, pension, taxes and estate plans. David received his bachelor’s degree in Finance and a minor in Economics, Personal Financial Planning, and Spanish from Utah State University. He successfully completed Boston University’s Retirement Management Program, and is a Certified Financial Planner™, and a Retirement Management Analyst™. He is the creator of FBIAS™: Fact-Based Investment Allocation Strategies. David is seminar speaker and presenter on retirement income planning, investment management strategies, and veteran’s benefits. He is the host of "The Retirement Income Show with Dave Anthony, CFP®, RMA®" which is broadcast Monday afternoons from 2-2:30 and Sunday evenings from 8:30-9:00 on 560 KLZ , He is currently working on his first book on retirement income planning strategies. Dave is also the owner of Side by Side Quotes.com, LLC, a independent insurance agency that offers side by side price comparisons for Medicare, long term care, annuity, life insurance, and disability plans. He feels that as a fiduciary, it is his obligation to act in his clients best interests and present unbiased and straight-forward insurance solutions. When he is not helping his clients optimize their retirement incomes, you'll find him exploring the mountains, rivers, and lakes of Colorado with his wife and six kids. He is an avid white-water Kayaker, canyoneer, 14er, and advocate of all things adventure related. He is active with the Boy Scouts of America, having volunteered for multiple years as a Scout and Varsity leader. He is an Eagle Scout and enjoys coaching his kids various sporting activities. Annuity Questions--Should you buy and annuity? Without a comprehensive, optimized retirement plan, inefficiencies develop and retirees lose money through unnecessary fees, expenses and penalties. When it comes to retirement, not having enough income is a major concern. Overlooking these five things could cost you income in retirement. Here's when (and how) investment losses in an IRA account can be included as a deduction on your tax return. Welcome to 62---now you start the DECADE of DECISION! Annuities can be very good for you or they can be very bad. It depends on what you need your money to do for you, and then choosing the right financial tool to make that happen in the most efficient and effective way possible. 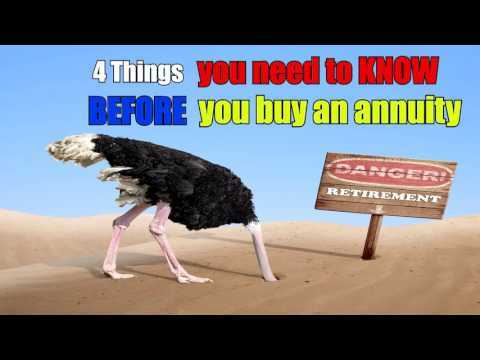 Before you buy any annuity---you should calculate what the lifetime internal rate of return of that annuity is expected to be, and then compare that with other alternatives to give you a good understanding of the Good, the Bad, and the UGLY. An annuity is a powerful financial planning tool that when used for the right purpose, and in the right situation, can provide tremendous value to the annuity buyer. Annuities can add stability and security to an investor's portfolio when they are used in an efficient manner. Unfortunately, the vast majority of annuity buyers misallocate their resources when purchasing annuities and end up with an underperforming annuity that costs too much, pays too little, and is simply an inefficient use of their resources. Indexed Annuities-increase in value depending on the performance of a baseline index like the S&P 500, Dow Jones, Gold, Real Estate, or even a negatively correlated index. The key feature of fixed annuities is that the principal is FIXED--it is guaranteed by the insurance company. Gains are usually locked in each year, and you can mix and match different types of annuities to create a guaranteed income stream in retirement that is not influenced by interest rates, market fluctuations, or other typical market influences. These are good options for conservative individuals, and are not regulated as an investment, but an an insurance only product. With these types of annuities, the principal value "varies" based on the performance of the sub-account values that your money is allocated to. These are viewed as investments and are sold by individuals that are licensed to sell both investments and annuities. These are good for individuals that want upside appreciation, and can tolerate risk in their portfolio. This type of investment typically has higher fees and expenses because of the additional insurance costs that are prevalent because of the insurance component. This depends on the problem that you are trying to solve. 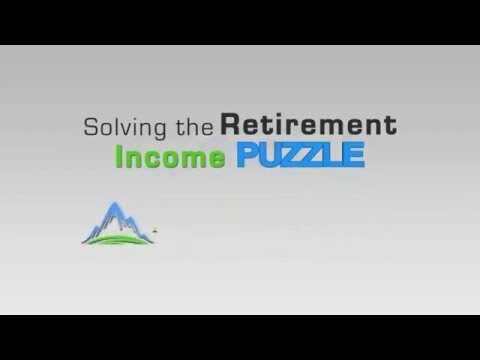 You money has a job to do, and you can choose to find the most efficient and effective way to get the job done, by allocating your scarce retirement resources in a comprehensive, coordinated plan that maximizes returns, reduces risks, and eliminates unnecessary fees, taxes, penalties, and surcharges, or not. This is where the misuse of annuities come into play. Insurance companies want you to believe that whatever your financial problem, whatever your worry, there is an annuity that can fix it, and that just isn't true. They are good solutions for some financial problems, but horrible solutions for other problems. Most investors haven't appropriately defined with their advisors what problem they are trying to solve, and therefore end up misallocating resources into an underperforming annuity and have been sold something without looking at the overall picture. HOW DO I KNOW IF I NEED AN ANNUITY OR NOT? Monitor your decision and make changes when necessary. 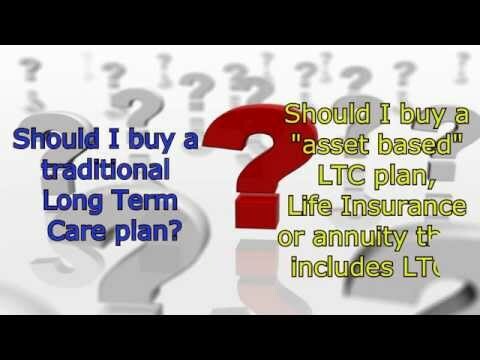 HOW CAN I GET HELP SELECTING AN THE RIGHT ANNUITY? You need to work with a professional. Someone who knows what you need, and can match you up with the right solution. In my firm, we like to look at prices and solutions from all available annuity providers, not just 2-3, and try to create the greatest benefit for you using the least amount of money. How should my spouse and I invest the $1,000,000 we received from the sale of our house? What?? $1 million bucks?? First thing you should do is high five your spouse for telling you to purchase that house back whenever you did....congratulations! Second thing is you should look at what the taxable impact of getting the $1 million is going to do to everything else you have going on. If you're both retired and on Medicare Part B, your premiums could quadruple to over $500/month, each. OUCH! Also, the domino effect of this increase could cause other problems that you may not be aware of. Social Security taxes, impact on RMD IRA distributions, etc. Third--you really need to look at what options you may have to REDUCE your tax burden in 2018, there are several strategies that you could implement right now to greatly reduce or eliminate your tax burden from the sale of the house. Last--how to invest the money should be dictated by what you want it to do for you. If you really don't need the money and you just want to keep it safe, then let's look at ways that you can invest the monies to keep up with inflation, and not lose it. Laddered treasuries and CDs are great, so are laddered bonds, investment grade life insurance options and other options that can give you a stable, fixed rate of return. I would definitely start with the low hanging fruit though--what things can you do now to reduce your tax, fee, and expense burden and then look at a combined, integrated investment plan for the $$. Night and Day. An IRA is a covered by Title 26 of the US Code of Federal Regulations which means that it is a type of Qualified account. When you set it up, you qualify for an income tax deduction (if you meet the thresholds) for your contribution, and the earnings grow tax-deferred. The intent is that the monies are to be used for your retirement in your 60's, so the IRA imposes an early surrender penalty of 10% + income taxers if you withdraw the monies before then. An annuity is not a qualified account. You get no tax deduction for setting it up, but the earnings do grow tax deferred indefinitely. If you're under 59 1/2, you'll have to pay a 10% penalty to withdraw funds (in most cases) and the income is taxed as ordinary income. It is sometimes confusing because some people can buy tax-deferred annuities inside of a tax-deferred IRA account. The IRA account is the "vehicle" and the annuity is the product or gasoline that runs the vehicle. You are limited as to how much money you can put into an IRA account, but there is no limit to how much you can contribute to an annuity. Annuities and IRAs are powerful financial planning tools. I have clients that have maxed out the total allowable 401(k) and IRA contributions ($53,000) and still have money left over. In this case, they'll purchase investment-grade annuities with low fees and expenses to grow their tax-deferred savings even more.